The teaser trailer for Rainmaker Entertainment and Blockade Entertainment’s Sly Cooper film admittedly snuck up on us, but some new information on the adaptation has now surfaced. The trailer gave a great introductory look at how the title character – a thieving raccoon – and his pals have been interpreted from the popular PlayStation video game franchise, but fans were left with lots of questions. In a recent interview, Blockade co-founder Brad Foxhoven attempted to answer some of them. Hit the jump to see what he had to say. 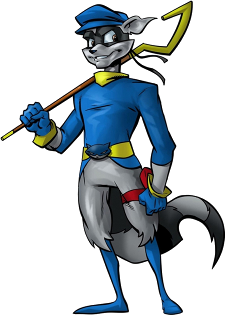 Sly Cooper is expected to hit theaters in the first quarter of 2016. How are you working with series creator Sucker Punch on this film? They have been very supportive during this process, providing creative guidance and feedback throughout. Their support was especially vital since we were altering the look of the characters and world, transforming them all into a full CG environment. Can you explain the art style you’re adopting for this film and how it will compare to the cel-shaded 3D look of the games? When we began the production, we proposed to Sony that our goal was to give the film a more CG look, but remain true to the artistic style of the characters and world. A style that was a combination between gritty film noir meets bright, colorful graphic novels. There was no doubt we were cautious about this, and made sure that those who were responsible for creating and managing the franchise over the past decade supported this new look. 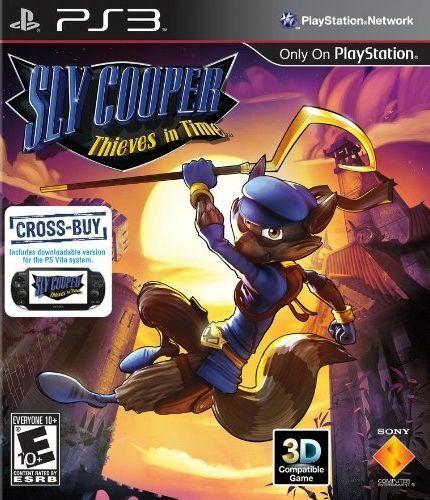 What is it about Sly Cooper that you feel will translate to linear entertainment? Essentially, Sly is a great character. He is much like George Clooney’s character in Ocean’s Eleven. He is a thief, but he is a cool, likable thief. With great, likable characters come great stories. Sly is that type of character, and he goes up against some pretty original bad guys. Plus, the relationship with Carmelita, and the tension of their romance, is a great element to have available in the film. With so many games in this franchise, how is the writer introducing a new audience to these characters? This isn’t a true origin story of the characters, as the team is already together when we meet them in the film. We are using the games as true source material, and working closely with Sony and Sucker Punch to make sure that the approach remains faithful to the world everyone loves. That said, we are still looking to add some nice twists into the film that will keep the fans on their toes. This franchise also has a lot of characters. Who are you focusing on for this film? We don’t want to give up too much at this point, but it definitely revolves around Sly, Bentley and Murray. Carmelita will also be in the film–but as for the villains, outside of announcing Clockwerk, we intend on keeping that area a secret for now. Why do you think CG might be a good format for video game movies after so many live action game-to-film flops? It’s an easier transition, for sure. We don’t have to think about what actor looks like Ratchet, or what location to place a Sly set in the real world. The fans already know and love these characters. When looking at a live action film, there is so much more to deal with on the franchise. Everyone has an opinion on the actors, sets, storylines. The process becomes challenging, and without the right focus and support from the creators, it becomes a harder hill to climb. Ultimately, the biggest mistake we see is when the film makers don’t include the game creators enough. It would be like excluding JK Rowling from Harry Potter. You need them involved, and helping guide the vision, and the overall authenticity of the film.